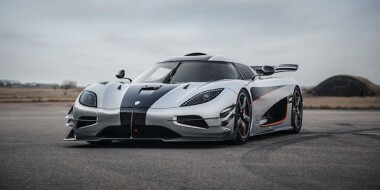 Swedish carmaker Koenigsegg is claiming a world record speed of 450km/h for its Agera RS. Factory test driver Niklas Lija piloted the car to an average 450km/h over two runs on a closed public road in the Nevada desert. Lija’s speed was 20km faster than the existing mark held by the Bugatti Veyron Super Sport and around 12km/h quicker than the speed set by the Hennessey Venom GT. But the Hennessey did not make the record books as it was only achieved in one direction.